Ecclesiastes 1:9 says there is nothing new under the sun. We disagree, which is one of the reasons we’re building Attesa. I recently read that the Panoz Green4U GT-EV, which was announced this past June as a possible Le Mans Garage 56 entry this year, will more likely be ready for the 2019 race around the clock. Caveat: As long as the FIA approves their application and lets the car race, and I certainly hope they do. If you look at the images and peruse the writeup you’ll notice the two most obvious ‘new’ features as: A) The car features a remove-and-replace-during-pit-stops battery pack, and B) The cockpit or driver compartment is the side of the car, instead of in the middle – behind or in front of the powertrain. Here we go. Because there is nothing new under the sun. 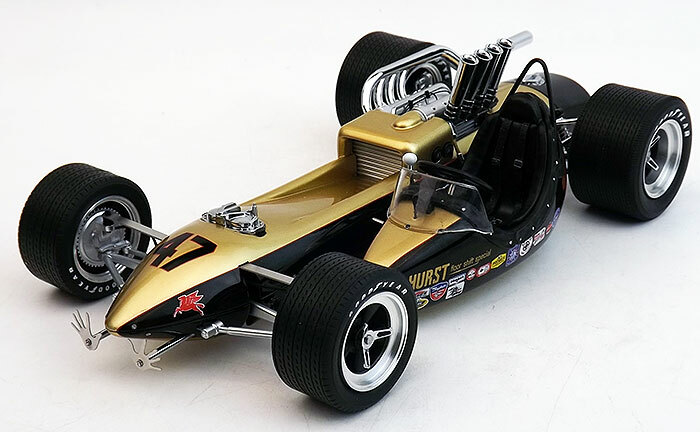 In 1964 Smokey Yunick built what he called a capsule car for the Indy 500, inspired by a German reconnaissance aircraft he saw while flying B17s in World War II. The engine was the then-standard Offy, after he couldn’t get a turbine, and it was installed in a tube frame chassis. The driver sat in a separate cockpit that was literally held on to the main chassis with five bolts. It didn’t qualify. Three years later Parnelli Jones almost won the 500 driving ‘Silent Sam,’ the STP-sponsored turbine car that also placed the pilot to the side of, instead of behind or in front of the powerplant. Then there’s the revolutionary, or at least press-release-talking-point-worthy replaceable battery pack. In 1991, master fabricator and car builder Tom Brawner built a battery-powered midget. Yours truly was working for a large retail auto parts company and we were already involved in IndyCar, NASCAR and NHRA promotions. Tom approached us about his project and we put together a deal, thanks to John Becker from Exide Batteries, to help him complete and then go racing with the car. It was revolutionary. On either side of the car were removeable battery packs. The batteries weren’t lithium, they were standard automotive lead acid monstrosities; ‘Heatbeater’ (or Icebreakers, for cold weather markets) car and light truck batteries, available at any Checker, Schuck’s or Kragen auto parts store. Tom built carriages, holding four batteries per side, that quick-connected as soon as they were lowered via a hand truck. The EX10 midget, driven by fellow Phoenician Billy Roe, won just about every race entered, as did Brawner’s 1984 Lola IndyCar-based EX11, also powered by Exide lead acid batteries and driven by Roe. This was over 26 years ago. There is nothing new under the sun. But that’s the trick, isn’t it? To take what exists and develop, refine, and renew until yes, you have created something that did not exist before. Kudos to Panoz for doing exactly that. And Brawner, too. Now let’s set aside their ingenuity, creativity and ability to think outside the box. Let’s talk locations, logistics and common sense. Tom Brawner built the first battery-powered midget in the same race shop his cousin Clint worked out of from the mid-50’s through 1985 or so. It started out as a garage behind the small brick house where Clint and his wife lived, in Phoenix. Then it became the place where cars for Jimmy Bryan, Eddie Sachs, Mario Andretti and others were fabricated and assembled. Back then, loading and towing was just part of testing. The dirt track at the fairgrounds was seven miles away, there were no freeways, and when Phoenix International Raceway opened that 20-minute drive to 19th Avenue and McDowell became an hour’s trek to 115th Avenue & Baseline in Avondale. One of the richest men in the world, thanks to his company’s development of the transdermal patch to deliver medication, he established Panoz Motorsports in 1997 in Braselton, Georgia, about six miles away from Road Atlanta – a track he purchased in 1996. 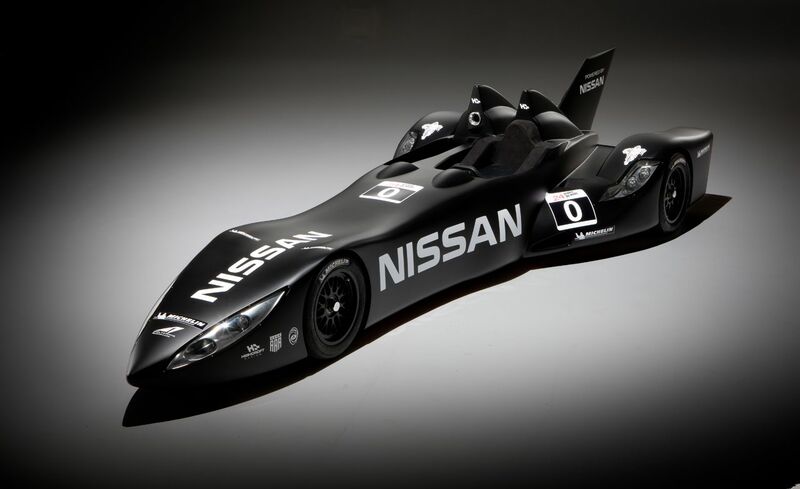 Panoz has always been at the forefront of trying something new in racing, as evidenced by his Esperante GTR-1 Le Mans racer, the DeltaWing and now his Green4U GT-EV. Yet by choosing to build his cars at a place separate from where they would need to be tested his crew still had to load and tow. Attesa is being created to satisfy a variety of different needs, including the elimination of that one particularly time consuming, occasionally expensive and inefficient step – the load and tow. Yes, it’s been done before. Enzo Ferrari built his own private test track at Maranello, where his famous Prancing Horse cars are made. Jim Hall moved his Chaparral shop from Southern California to Midland, Texas in the early 60’s and built Rattlesnake Raceway, in conjunction with local SCCA racers, so he could develop and test his famous Can Am and IndyCars with convenience, in relative privacy. The move also allowed Hall to participate in a lot of Firestone’s tire testing. Yet there’s never been an entire community, 100% dedicated to promoting advanced technology, thought leadership and motorsports, featuring the ultimate in all-visitor (race teams, manufacturers, fans and guests, etc.) accommodations. We’re building Attesa so man can do what man has done before: create solutions to problems and opportunities that were previously non-existent. Ideas that push the edge of the envelope are best incubated in a laboratory environment totally suited to the mission. That’s what Attesa is going to be; for everyone from Tom Brawner -like craftsmen and Don Panoz -like moguls to car companies, performance parts suppliers, grass-roots racers and anyone else with a wheeled-vehicle goal or dream.